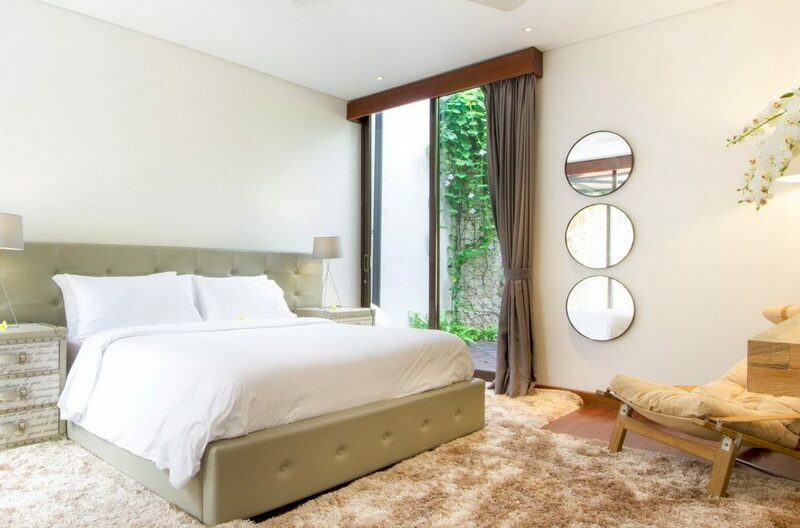 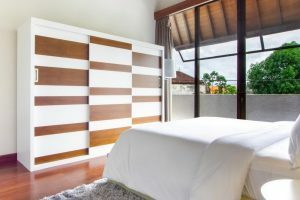 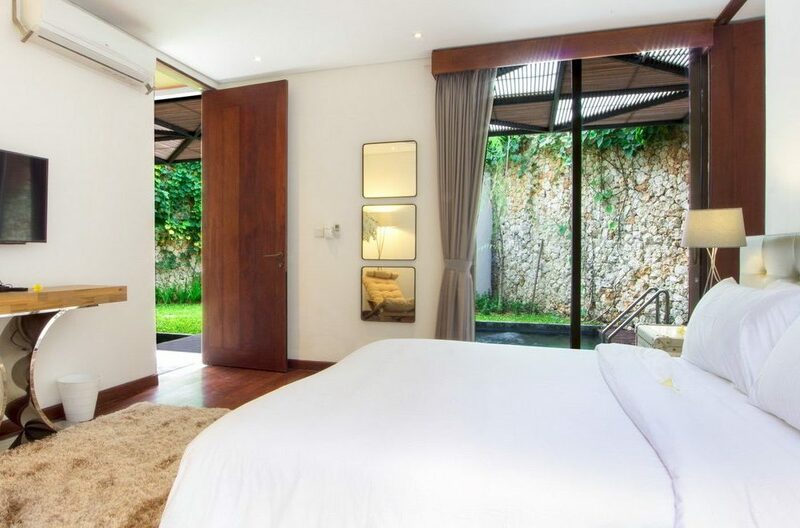 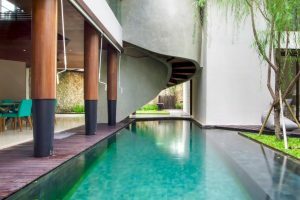 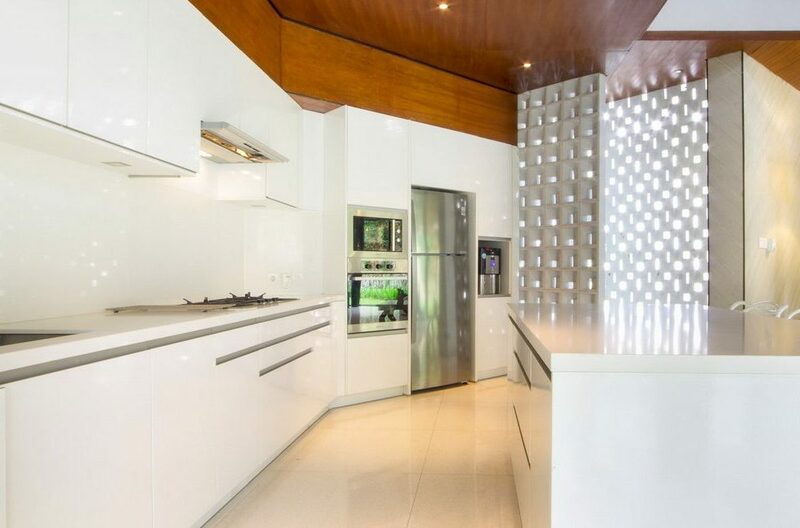 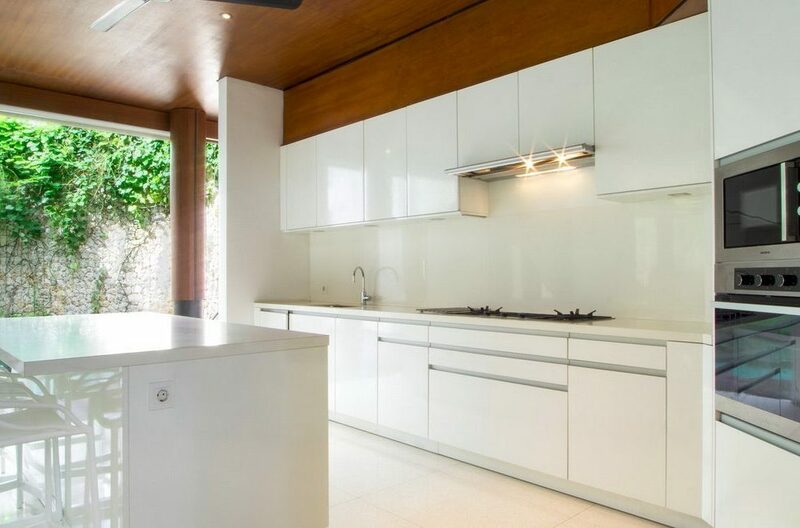 Villa Summer is a delightful 3-bedroom villa located in Seminyak, Bali’s most sought-after district. 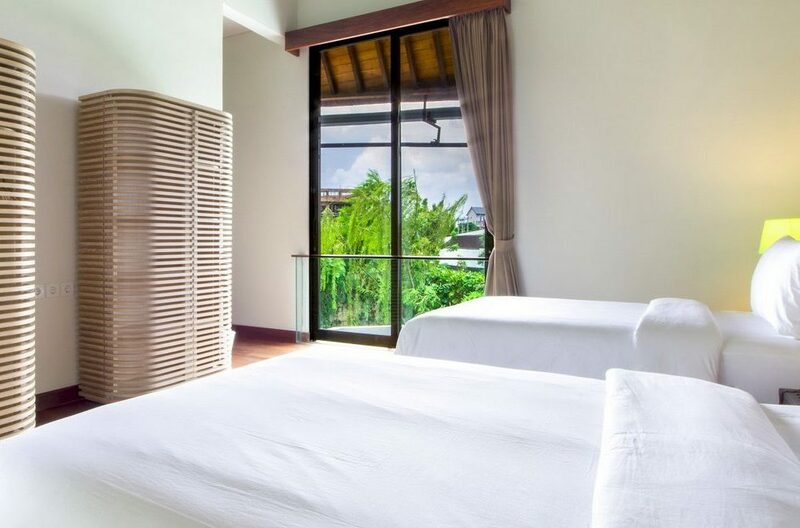 This gorgeous holiday home is the perfect choice for small groups of friends or families who want to stay close to the many shops and restaurants in trendy Seminyak. 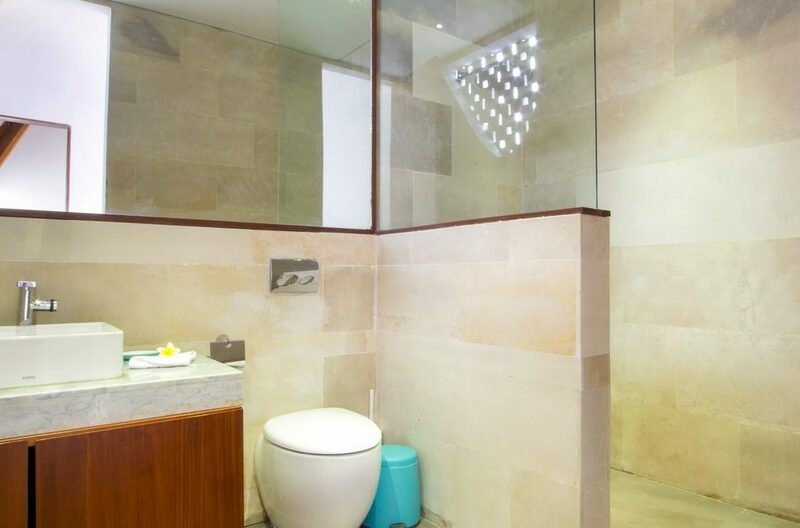 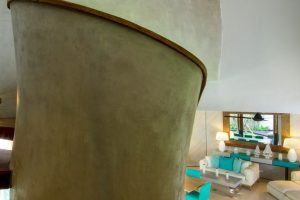 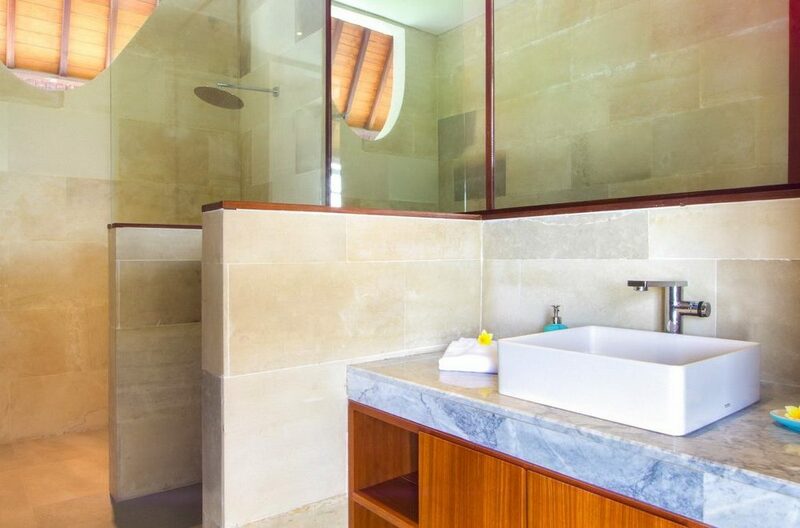 Villa Summer will accommodate up to six people in three spacious and plush ensuite bedrooms. 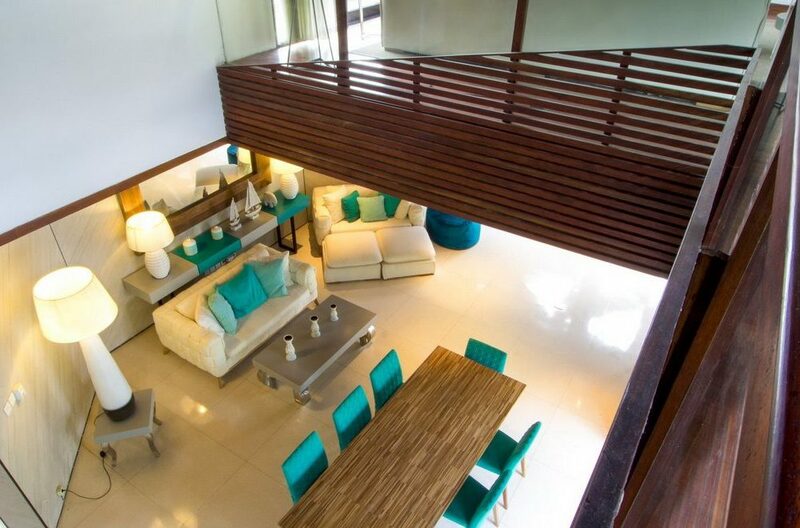 The main living area comprises of a sumptuous lounge, dining area and fully equipped kitchen for your ease. 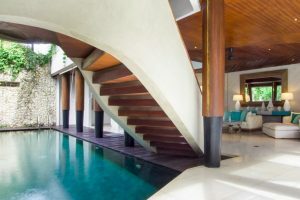 The living area opens effortlessly onto the bamboo deck where you’ll find a large swimming pool and an outdoor cocktail terrace. 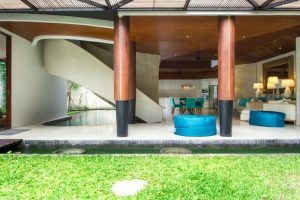 If you’re after a centrally located villa that exudes modern elegance but won’t break the bank, Villa Summer is an excellent choice. 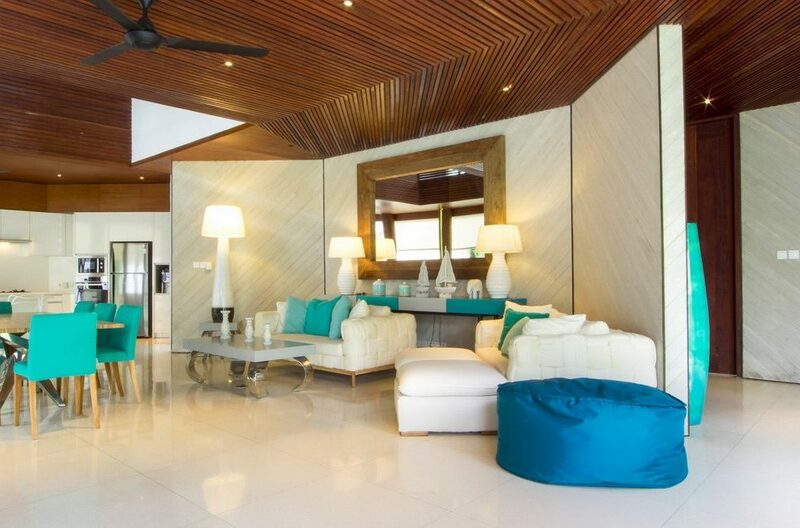 The living area Villa Summer is guaranteed to impress. 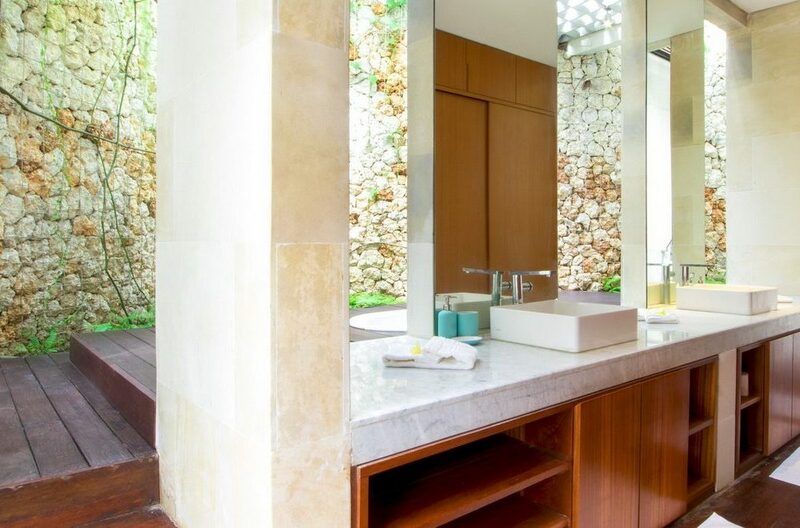 This generously appointed space was crafted with your absolute comfort in mind and features cool terrazzo floors and high ceilings to shelter you from the hot afternoon sun. 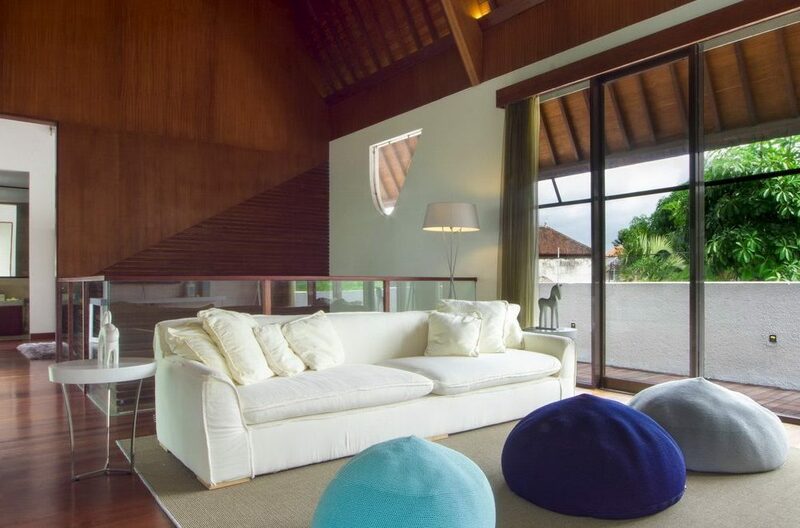 This stunning living area has been furnished with several stylish, snug settees and armchairs, making it an ideal centre for lounging with your loved ones. Large ceiling fans keep the splendid space cool and comfortable at all times, so you can lay back on the couch at any time of day and indulge in a spot of reading or use the free WIFI. The mezzanine floor upstairs is home to a media room where the kids can retreat to watch movies or simply relax in air-conditioned comfort. 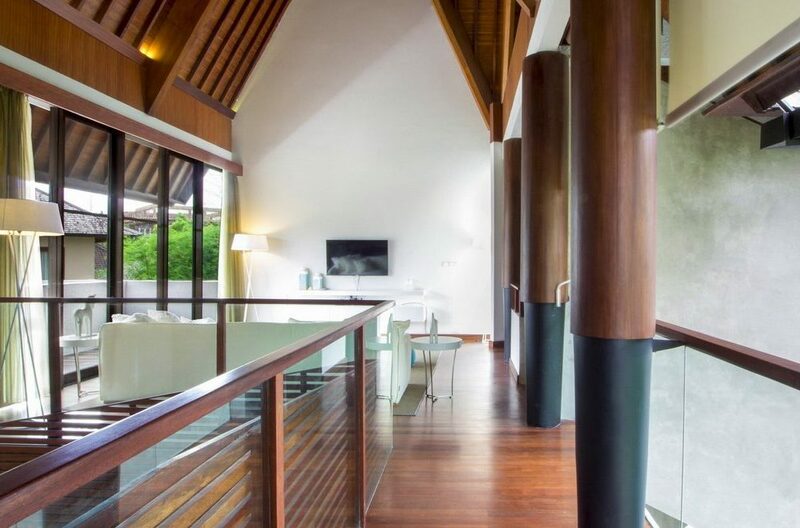 Guests can make full use of the kitchen if they’re craving a home-cooked feast using fresh Balinese produce. The kitchen is stocked with all the pots, pans and crockery one might need to whip up a delicious meal in the comfort of their villa. If you feel like taking the night off and being spoiled, you can request a private chef to come in and create something delectable. 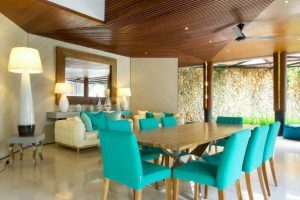 An even more convenient dining option is to order in from one of the many incredible restaurants in the area and simply eat in the company of your family and friends. 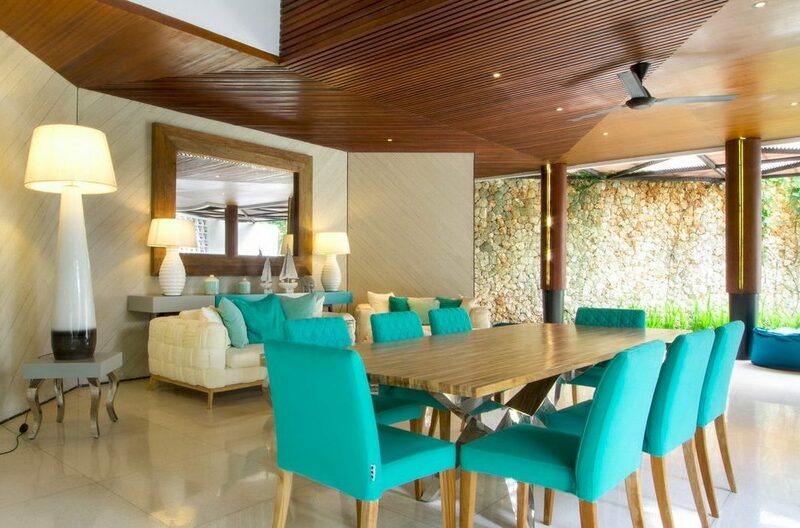 Villa Summer’s dining table seats up to eight comfortably and is the perfect setting for enjoying world-class food and ice cold cocktails in paradise. 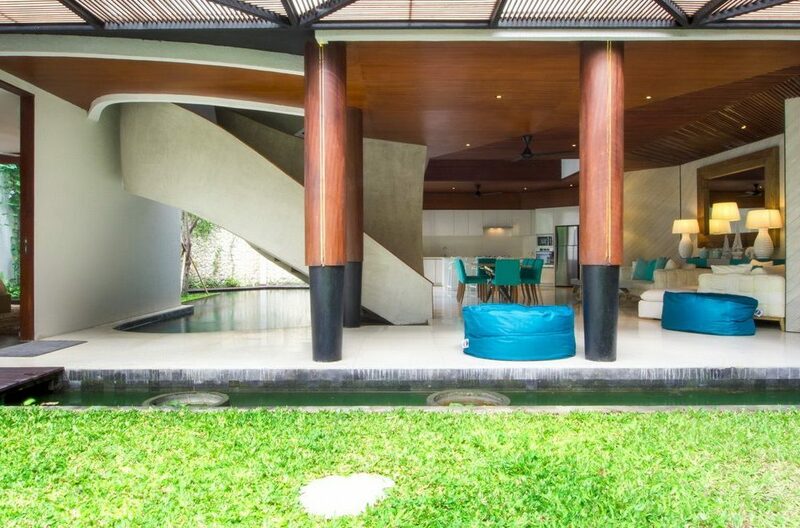 The modern indoor space blends seamlessly with the tropical outdoors. 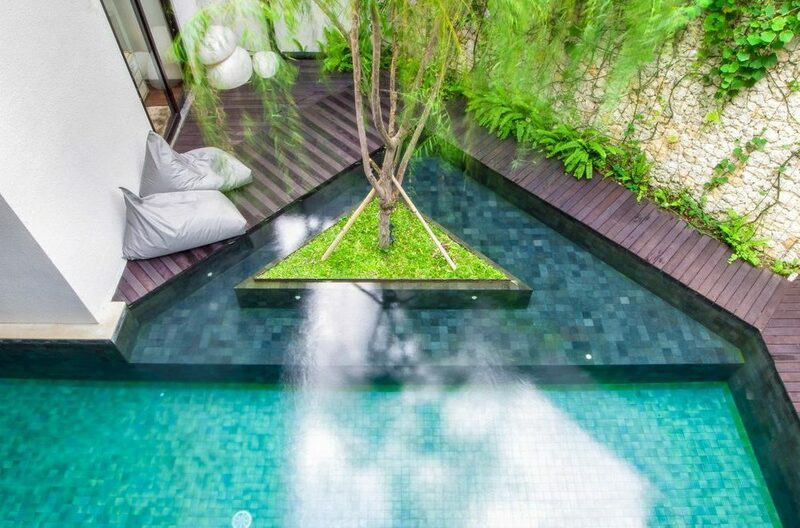 Make your way outside and you’ll find a uniquely shaped, sparkling blue pool that’s ever so inviting. 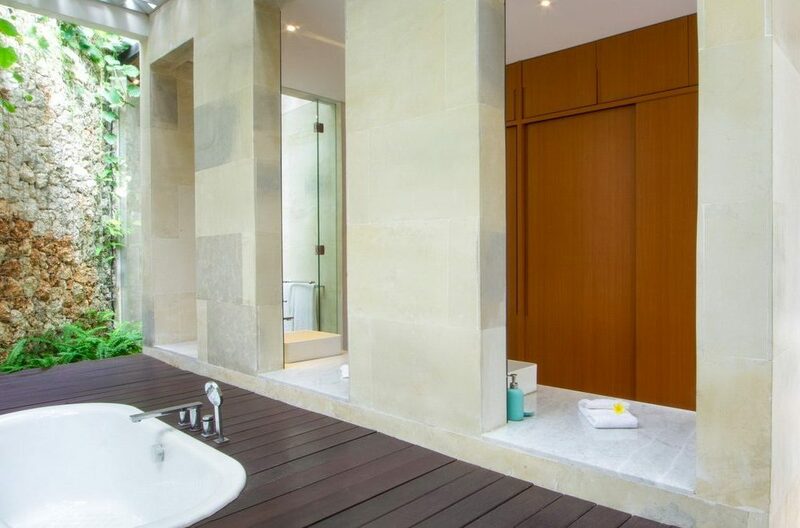 Take a refreshing morning dip amongst the exotic greenery that stretches around the property. Apply some tanning oil and lie back on one of the beanbags while you jam to some feel-good tunes. 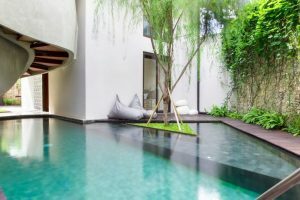 The outdoor area also comprises of a small garden with a shaded area that’s ideal for barbecues and cocktails. Villa Summer’s divine bedrooms all contain top of the range mattresses to ensure you have a perfect night of sleep. 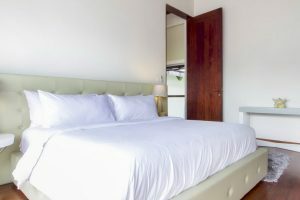 Crisp, white linens have been pulled over the beds which have been adorned with new fluffy pillows. 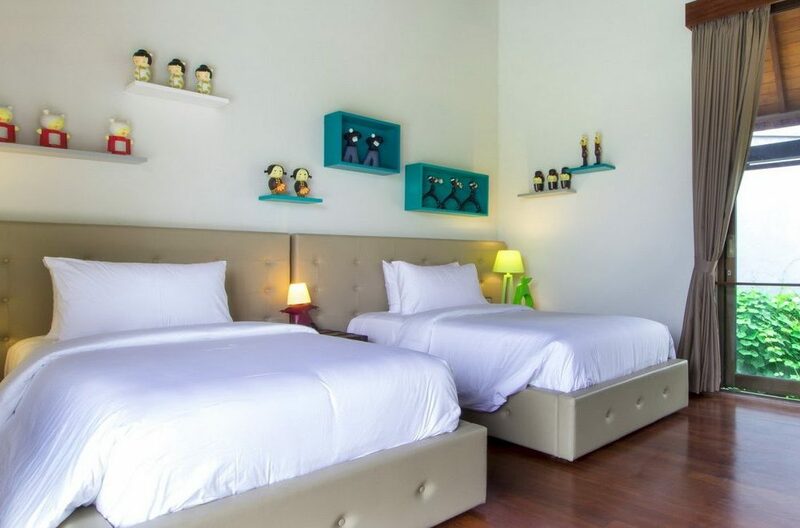 Two of the rooms offer plush king-sized beds while the third bedroom contains two twins and is perfect for children. You’ll find that the staff at Villa Summer are extremely discrete and professional. 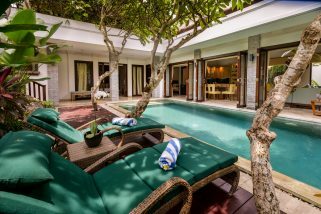 Your villa manager will help you get settled in and answer any queries you may have. 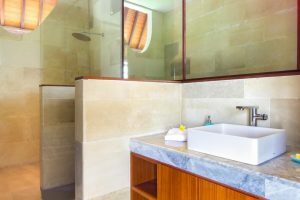 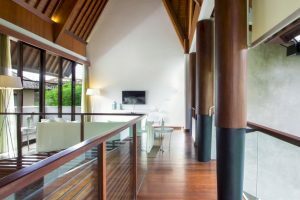 As far as upkeep goes, a housekeeper will visit daily to ensure the place remains immaculate, while a pool attendant and gardener will ensure that the outside areas are pristine. 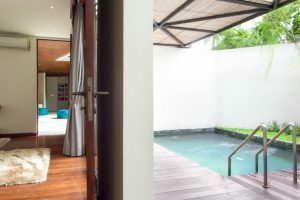 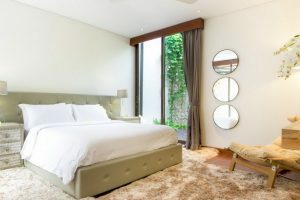 Aside from the top of the range facilities, one of the most attractive features of Villa Summer is its proximity to the notable bars and restaurants around Seminyak. 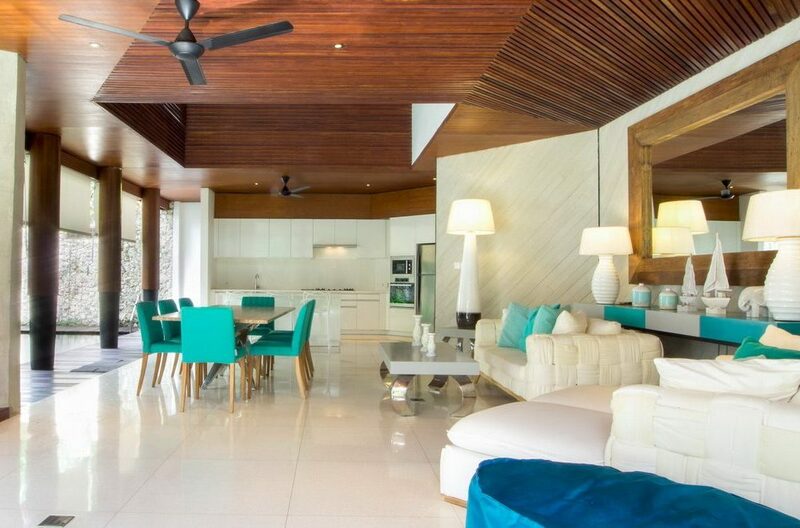 World-famous Potato Head is only a short walk away, as is W Resort. 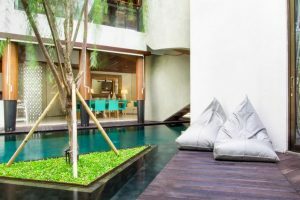 You’re only moments away from some of Seminyak’s most notable restaurants, such as Bambu, Sarong, La Lucciola and La Sicilia. 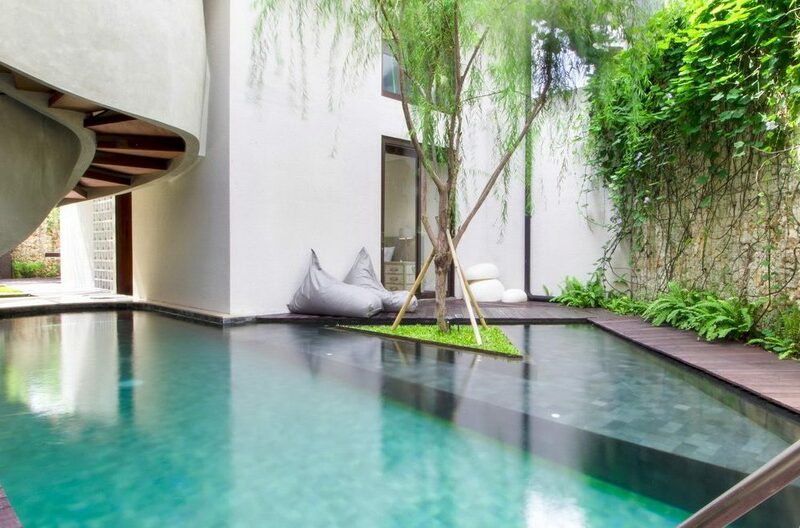 During the day you can spoil yourself rotten at the numerous boutiques and spas that line the streets of Seminyak. 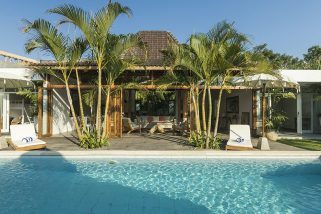 Or if you’re after something more relaxed, just head to the beach and set up camp under a parasol and sip on a cold coconut.